The positive attitude quotes on this page are all from surnames and sources H to K. For more words of wisdom about keeping a positive attitude take a look at the other pages: A to B - C to D - E to G - L to M - N to R - S to T - U to Z. There are also for words from unknown sources on the Attitude Sayings page, and a condensed version of all of these pages on 100 Positive Attitude Quotes. History is there to be learned from and not lived to. The difference between good and evil is Intention. We are entering an age in which each individual needs to acknowledge their responsibility to themselves and to every other form of life on this planet. With this kind of openness and respect the future of humankind is unlimited. You are part of something so vital and meaningful, that you need to savour every second in your physical incarnation. Live by choice, not by chance. Work to excel, not compete. not the jumbled opinions of everyone else. I am only one - but I am one. I can't do everything - but I can do something. And what I can do - that I ought to do. And what I ought to do - by the grace of God I will do. They unknowingly make you strong. In my writing, as much as I could, I tried to find the good, and praise it. We all suffer. If a man’s wise, he learns from it. Your attitude is everything. Believe in yourself and trust your material. To be a successful writer, write every single day whether you feel like it or not. Never, never give up, and the world will reward you beyond your wildest dreams. Because you are alive.... Everything is possible. When you plant a lettuce, if it does not grow well, you don’t blame the lettuce. You look for reasons it is not doing well. It may need fertilizer, or more water, or less sun. You never blame the lettuce. Yet, if we have problems with our friends or family, we blame the other person. But if we know how to take care of them, they will grow well, like the lettuce. Blaming has no positive effect at all, nor does trying to persuade using reason and argument. That is my experience. No blame, no reasoning, no argument, just understanding. If you understand, and you show that you understand, you can love, and the situation will change. Parents need to be more accepting of who their kids are and less concerned about what society thinks they need to be. I'm really clear about my priority in life... It's being a mom. Love everyone and everything at all times, including yourself, no matter what. The only thing that will make you happy is... Being happy with who you are and not who people think you are. Forgiving is a gift to yourself. It frees you from the past, the past experience, and past relationships. It allows you to live in the present time. When you forgive yourself and forgive others, you are indeed free. I am now creating a new way of living. I know it’s never too late for me - I am never too old to dream and have goals. Dreams and goals keep me young and interested in life. I find that the more willing I am to be grateful for the small things in life, the bigger stuff just seems to show up from unexpected sources, and I am constantly looking forward to each day with all the surprises that keep coming my way. I look forward with enthusiasm to the adventures of the day knowing that in my life all is good. If you want love and acceptance from your family, then you must give love and acceptance to them. In the infinity of life where I am, all is perfect, whole and complete. You've been criticizing yourself for years and it hasn't worked. Try approving of yourself and see what happens. I'm the one that's got to die when it's time for me to die, so let me live my life the way I want to. The most important thing is to enjoy your life, to be happy, it's all that matters. Nothing constructive and worthy of man's efforts ever has, or ever will be achieved, except by that which comes from a positive mental attitude, based on a definiteness of purpose and activated by a burning desire, and acted upon until the burning desire is elevated to the level of applied faith. You must shine your own light, follow your own path and don't worry about the darkness, for that is when the stars shine brightest. Hospitality is to be shown even towards an enemy. The tree doth not withdraw its shade, even from the woodcutter. Enjoy the simple, the natural and the plain. Along with that comes the ability to do things spontaneously and have them work. Happiness is a way of travelling and not a final destination. The difference between happiness is no-where and happiness is now-here has something to do with the event, and everything to do with how you see the event. Your perception is key. To have time for what is valuable, you have to stop giving time to what isn't. Your intention to love, no matter what, is the absolute key to happiness. While we've youth in our hearts, we can never grow old. Remember to preserve a calm Soul amid difficulties. While we're talking, time will have meanly run on... pick today's fruits, not relying on the future in the slightest. Change is never a loss - it is change only. Character is the result of two things; mental attitude and the way we spend our time. The world is moving so fast these days, that the man who says it can't be done, is generally interrupted by someone doing it. Nothing is worth losing your inner peace. Take action as circumstances require, but never surrender your inner peace. Stop. Breathe deeply. Close your eyes and breathe deeply again. Then, and only then, take action from a peaceful heart. Let us be kinder to one another. When life seems difficult and the road ahead is steep, remember God didn't make the earth flat, and it is more interesting and beautiful because of that. Even if things don’t unfold the way you expected, don’t be disheartened or give up! One who continues to advance will win in the end. 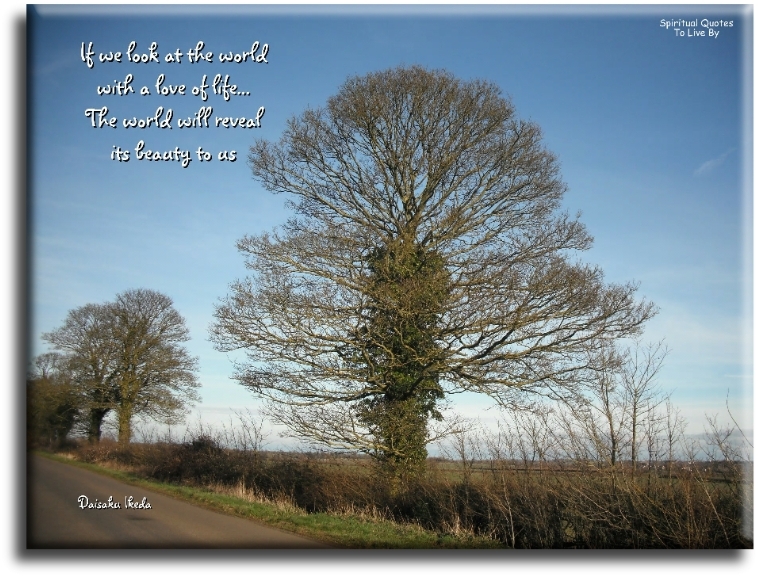 If we look at the world with a love of life the world will reveal its beauty to us. The place to be happy is here. The time to be happy is now. Never look down on anybody... unless you're helping him up. Before you judge me, try hard to love me, look within your heart. Then ask: have you seen my childhood? I’m going to search for my star until I find it. It’s hidden in the drawer of innocence, wrapped in a scarf of wonder. In their innocence, very young children know themselves to be light and love. If we allow them, they can teach us to see ourselves the same way. You can’t hurt me, I found peace within myself. Three things in human life are important. The first is to be kind. The second is to be kind. The third is to be kind. Act as if what you do makes a difference... It does. Give your dreams all you've got and you'll be amazed at the energy that comes out of you. Why should we think upon things that are lovely? Because thinking determines life. 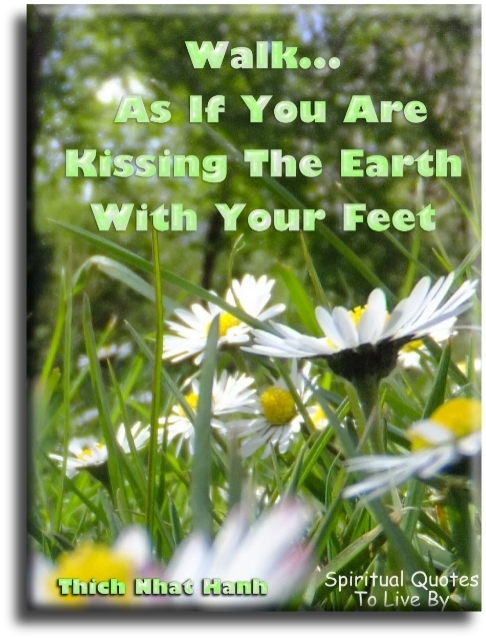 It is a common habit to blame life upon the environment. Environment modifies life but does not govern life. The Soul is stronger than it's surroundings. For what I have received may the Lord make me truly thankful. And more truly for what I have not received. Nothing lasts. Not even a great sorrow. There is only one world, the world pressing against you at this minute. There is only one minute in which you are alive, this minute here and now. The only way to live is by accepting each minute as an unrepeatable miracle. Piece of mind comes from not wanting to change others, but by simply accepting them as they are. True acceptance is always without demands and expectations. The really happy person is the one who can enjoy the scenery, even when they have to take a detour. All the dangers in our world are like a blessed wake up call. They tell us to live life NOW... not tomorrow, not when the children grow up, not when we retire... but NOW. Feel the fear.... and do it anyway. We don't have to wait until we are old to gather the riches... we can gather them every day of our lives. While non of us understands the Grand Design, we can commit to using all our experiences, good or bad, as the building blocks of a powerful and loving life. Then it is, indeed, all happening perfectly. Nothing can stop a man with the right mental attitude from achieving his goal. Where there’s a will, there’s a way. Perhaps tomorrow, if not today. Being the richest man in the cemetery doesn’t matter to me. Going to bed at night saying we’ve done something wonderful.. That’s what matters to me. Remembering that you are going to die is the best way I know to avoid the trap of thinking that you have something to lose. You are already naked. There is no reason not to follow your heart. It is worth a thousand pounds a year to have the habit of looking on the bright side of things. When making your choice in life... do not neglect to live. Sometimes, when I want to take on the world, I try to remember that it's just as important to sit down and ask my son how he's feeling or talk to him about life. My mother is my root, my foundation. She planted the seed that I base my life on, and that is the belief that the ability to achieve starts in your mind. Mistakes are the growing pains of wisdom. I am first and foremost me, but right after that I am a mother. The best thing that I can ever be is me. But the best gift that I will ever have is being a mother. I don’t believe.. I know. The shoe that fits one person pinches another, there is no recipe for living that suits all cases. Be gentle with the young. Each time for the first time. Each moment the only moment. Mindfulness is about love and loving life. When you cultivate this love, it gives you clarity and compassion for life, and your actions happen in accordance with that. No matter how knowledgeable you are, respect your parents for their experience and your children for their curiosity. Listen to that tweet from your heartbeat, and listen to that chat request from your brain and pay attention to that status update from your body. On a daily basis, befriend yourself. All I have is all I need... And all I need is all I have in this moment. It's not your job to like me... It's mine. 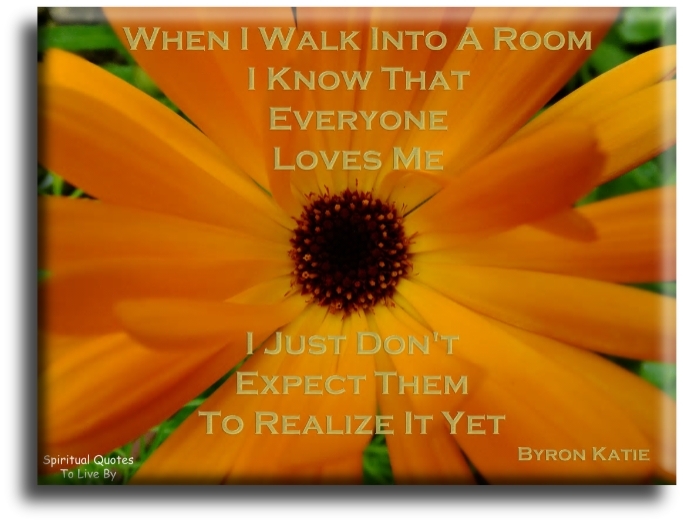 When I walk into a room I know that everyone loves me... I just don't expect them to realize it yet. A thing of beauty is a joy forever. 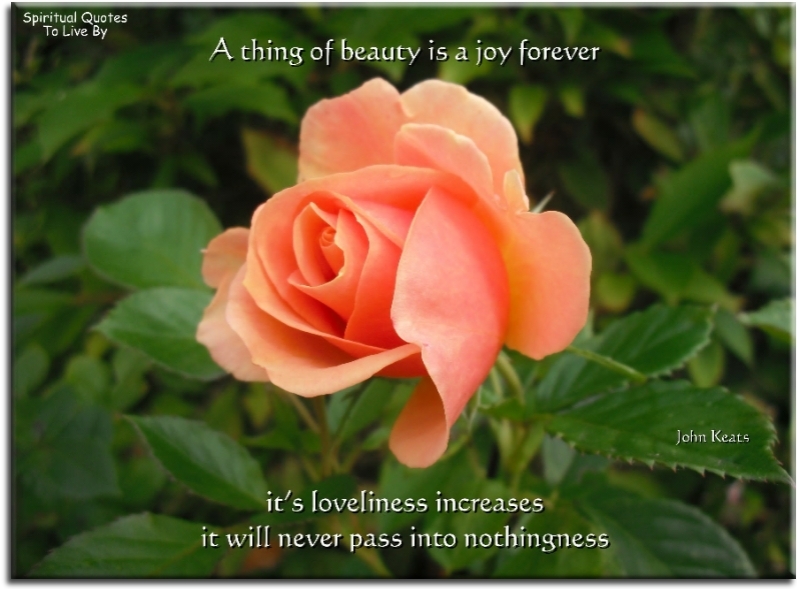 It's loveliness increases, it will never pass into nothingness. Everything has its wonders, even darkness and silence. And I learn whatever state I may be in, therein to be content. Keep your face to the sunshine and you cannot see the shadows. 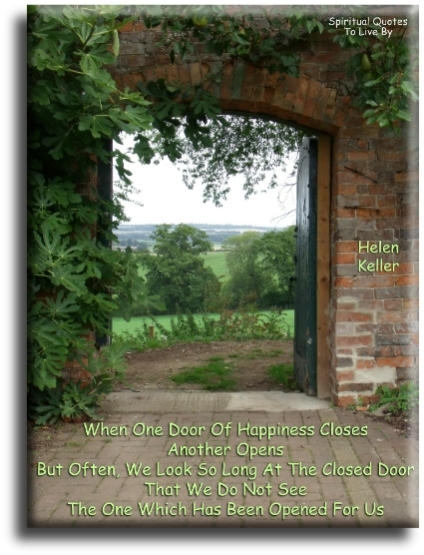 When one door of happiness closes, another opens... but often we look so long at the closed door, that we do not see the one which has been opened for us. If there is joy in the world, the man whose heart is pure will certainly possess it. If there is trouble and distress anywhere, the bad conscience is the one more likely to feel it. Birds sing after a storm... why shouldn't people feel as free to delight in whatever sunlight remains to them? A rose can never be a sunflower, and a sunflower can never be a rose. All flowers are beautiful in their own way, and that's like women too. Everyone has a different beauty and different qualities and I think that women need to learn to love their qualities and be comfortable in the fact that everyone is different. Happiness is a choice we make. You can wake up and say, "Oh, I can't believe it's so cold," or you can say, "Oh, wow, this is a great opportunity for me to try out my new sweater." No one can be consistently positive, but why not make the choice that makes you feel better, rather than the one that drags you down? I am a vibrant, healthy and joyful being of light and love. I feel like life is really short, and it's important to enjoy yourself and embrace whatever comes your way, whether it's a challenging day or a great day, just welcome it with open arms. No matter who you are, you can't escape challenges, they are part of life. In being love, I give love. In being joy, I give joy. In being happiness, I give happiness. Everything I need is within. Knowing yourself and coming to trust your feelings and your intuition will open up your life to greater possibilities and keep you moving toward your goals. One thing I have learned is that I should trust my gut instincts. Ultimately, only we know what is best for us. Life is too short to give another minute to anyone or anything that doesn't make you happy. We all have bad days, but one thing is true... no cloud is so dark that sun can't shine through. At every step, the child should be allowed to meet the real experience of life, the thorns should never be plucked from the roses. The past is dead. The future's imaginary. Happiness can only be in the eternal now moment. I'm not sure what the future holds, but I do know that I'm going to be positive. If you can’t fly then run, if you can’t run then walk, if you can’t walk then crawl, but whatever you do, you have to keep moving forward. I've looked over, and I've seen the promised land. I'm not worried about anything, I'm not fearing any man. We must learn to live together as brothers or we are going to perish together as fools. What we need to do is learn to respect and embrace our differences, until our differences don't make a difference in how we are treated. Do you love your Creator? Then love your fellow beings first. In the end, just three things matter.. How well we have lived. How well we have loved. How well we have learned to let go. If we all do one random act of kindness daily, we just might set the world in the right direction. 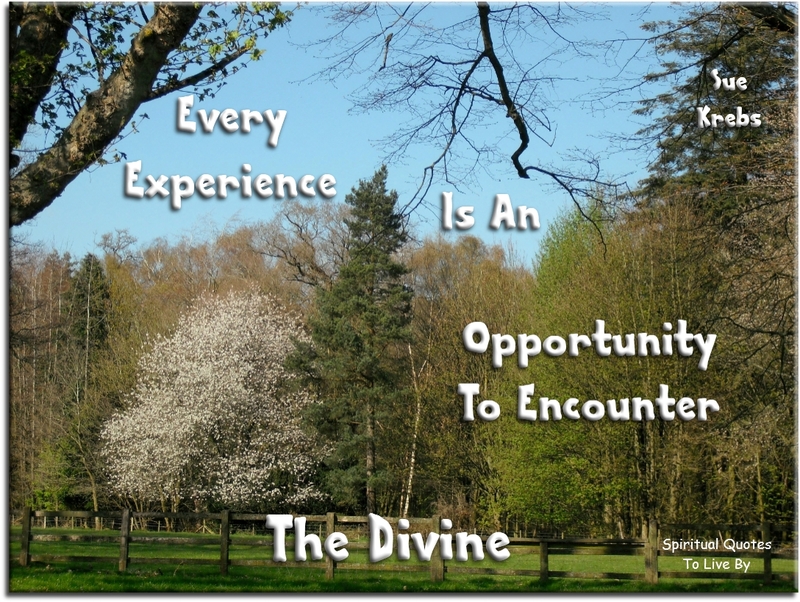 Every experience is an opportunity to encounter the Divine. The difference between me and you is that I don't mind what happens. The moment you have in your heart this extraordinary thing called love, and feel the depth, the delight, the ecstasy of it, you will discover that for you the world is transformed. It is when we truly know and understand that we have a limited time on Earth and that we have no way of knowing when our time is up, that we will begin to live each day to the fullest, as if it was the only one we had. I think all those people, I did stories about, measured their own success by the joy their work was giving them. 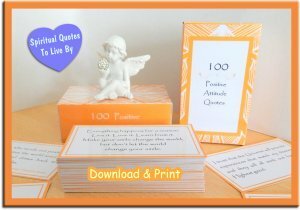 Get daily inspiration with these handy quote cards all about living a positive life along with positive expressions to uplift . 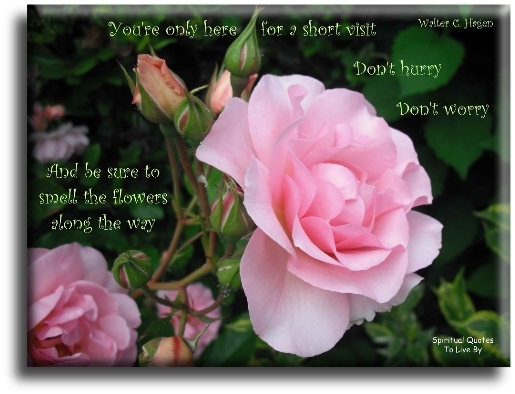 You can read all of the quotes from the cards at the 100 Positive Attitude Quotes page. 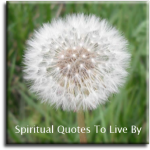 Click the image below to take you to the individual listing or go to Spiritual Quotes To Live By on Etsy to see this and more items.